So what's the latest news from Capcom on Mega Man: Legends 3? Most of the fans have been begging for some sort of continuation after Legend 2 ended on such a cliffhanger, and it seems that it's finally beginning to pay off. While no official release has been announced yet, several small hints and clues are beginning to leak through in various ways. The latest one wasn't even verbal; it was visual. ...Much to everyone's horror. 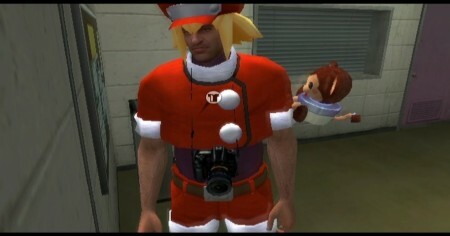 For those who don't know, that's Roll Casket's outfit from the Mega Man Legends series. So is this a hint of things to come? Or is Capcom just teasing it's fans? For now, all we can do is wait and see (no matter how much we don't wish to see anymore).